Here you'll find a number of helpful links to information sources, organisations and agencies to get you organised in all aspects of life. Clicking on the links below will open another page in your browser. Insurance is a means of protection from financial loss. There are a multitude of different types of insurance policies available, and virtually any individuals or businesses can find an insurance company willing to insure them, for a price. The most common types of personal insurance policies are auto, health, homeowners and life insurance policies. Click here to see our Preferred Insurance Advisors. 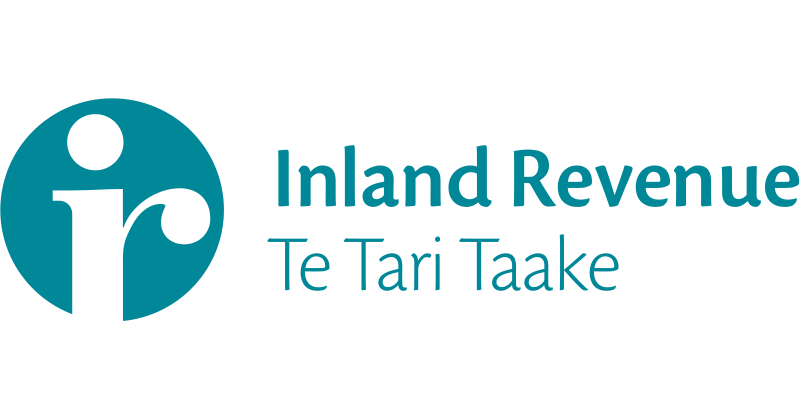 The New Zealand Inland Revenue website provides information and services related to taxes and specific social policy services administered. A loyalty program is a rewards program offered by a company to customers who frequently make purchases. Budgeting lies at the foundation of every financial plan. It doesn’t matter if you’re living paycheck to paycheck or earning six-figures a year, you need to know where your money is going if you want to have a handle on your finances. Here's a list of organisations that can help you with budgeting advice. The Department of Internal Affairs is the public service department of New Zealand charged with issuing passports, administering applications for citizenship and lottery grants and supplying support services to Ministers of the Crown. Blood is needed to save lives in times of emergencies and to sustain the lives of those with medical conditions, like leukaemia and bleeding disorders, as well as patients who are undergoing major surgeries. For many patients, blood donors are their lifeline. One unit of blood can save three lives! Health Pages - Find a Health Professional - Over 13,000 health & wellbeing services in NZ – find expert help now. New Zealand Organisation for Rare Disorders - Rare disease information gateway, support groups directory, practical advice, health and disability resources, research information, news and issues. Mesothelioma Guide - Up-to-date information about living with mesothelioma, treatment options and more. Mesothelioma Justice Network - The Mesothelioma Justice Network fights on behalf of patients, demanding justice from negligent asbestos companies. They also provide educational resources, support and information to anyone that may have questions about asbestos. You have a right to see your own health information. If you make a request to your doctor or other health agency they must respond within 20 days of your request. If the agency does not respond to your request to access your health information within 20 working days, or they have denied your request and you are unsatisfied with their reason, you can complain to the Privacy Commissioner. If you made your request to a public health sector agency (e.g. your DHB), they cannot charge you a fee for this. Private sector agencies (e.g. your private sector dentist) can only charge you if they have provided you with the same information in the last twelve months. More about this is on this Privacy Commissioner fact sheet. The MedicAlert® Foundation provides life saving information services, supported with an internationally recognised Medical ID. St John New Zealand is a charitable organisation providing healthcare services to the New Zealand public. Providing New Zealanders with independent, factual information about vaccine-preventable diseases and the benefits and risks of immunisation. The following sites have a range of medical equipment to assist you to find the comfort or mobility that you require. The law affects nearly everything we do but it can be complex and expert advice is often needed. A lawyer has the training, experience and knowledge to help you. If your lawyer can’t help you with a particular matter, they can refer you to another specialist. Click here to see our list of LifeLot preferred Lawyers. The Ministry of Social Development is the public service department of New Zealand charged with advising the government on social policy, and providing social services. Below you'll find a range of services and directories to support people as they get older. Check out LifeLot's exclusive offer for SuperGold Cardholders here. Driving services for the elderly are vital for those who no longer drive. Seniors need transportation to the supermarket, medical appointments and meetings with social services and governmental agencies. Transportation options allow them to remain independent in their homes, rather than going to long-term care facilities. Funeral homes arrange services in accordance with the wishes of surviving friends and family, whether immediate next of kin or an executor so named in a legal will. The funeral home often takes care of the necessary paperwork, permits, and other details, such as making arrangements with the cemetery. Better Send Off is a one-stop shop for everything you need to personalise the celebration of your loved one's life. You'll find all you need to know to give your loved one the best send off. A Memory Tree - A Memory Tree is NZ's largest and most comprehensive website holding death information. If a death has been published in a leading newspaper you can locate accurate, up-to-date information about the person here. Summaries of all published death notices are available. A Memory Tree updates their records hourly and list over 90% of all deaths. NoticeMATCH - NoticeMATCH helps you identify deceased clients quickly & accurately. Manage your database and grow future relationships. Match published death information against your database in real time. NoticeMATCH records over 90% of all deaths in New Zealand every day and you can run a match any time.